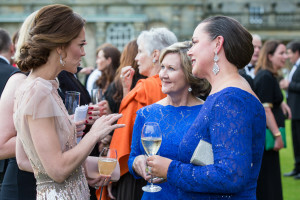 As I mentioned back in June, I recently had the opportunity of a lifetime, where my Aunt, sister and I attended a fundraiser for the East Anglia Children’s Hospice with the Duke and Duchess of Cambridge. 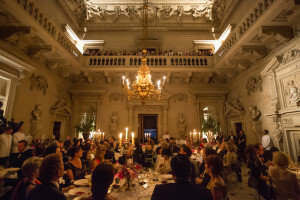 It was a small, intimate, affair with 80 people in attendance for dinner at Houghton Hall in Norfolk, England. I also promised as soon as I had official photos to share, I would pass them along. The Taste of Norfolk committee also shared a video of the event. It was truly a fabulous evening where I was able to put into practice all that we teach in our classes: basic conversation skills, formal introductions, shaking hands, formal continental dining rules, formal dinner conversation rules, and the list goes on. I hope you enjoy the photos and the video. 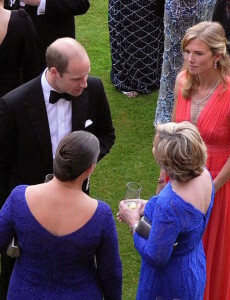 My sister, Audrey Seeliger, and I visiting with William, the Duke of Cambridge. My sister and I visiting with the Duchess of Cambridge. 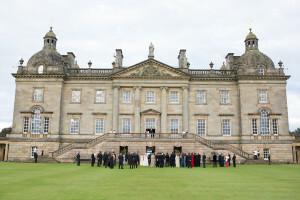 Houghton Hall, where the event took place. The Grand Stone Hall at Houghton, with the EACH Choir singing from the balcony. In this video, you can hear the EACH Hospice Choir singing, they were amazing. Do you know of a 5th-12th grader who would benefit from improved social skills, confidence (the right kind of confidence) and better manners? We have a few options for them… Registration for the 5-12th grade programs is open, Click here to register. Email Newsletter Have you signed up to receive Manner Monday directly to your inbox every week? Click on the banner at the top of the page to sign up. Word of Mouth is the best compliment you can give. Do you know of some who may be interested in our programs, please share our website www.expeditionsinetiquette.com with them.